I have to admit, I didn't expect the spring season to have so much going on. Everyone I talk to who is "Creating Art" as a living says this is the season for creating new pieces. There are not many shows at this time so this is a good the time to develop new concepts and create inventory. Last year I was trying to take it slow because I was still a beginner ( I still feel that way ! ) and focus on the fall season for shows. This year I wanted to expand my show calender and I never new there where so many shows to apply for. Spring had definitely sprung early this year for me. I also wanted to expand my gallery presence and I'm working on finding some great places to show my work on a steady bases. The search has gone great so far and I will update you with that news very soon. My first show is the Weekend of March the 5th. New Show! New Venue! It is at the Artist Boutique" in Kirkwood, MO. I'm very excited about the new opportunity. Well here is a look at one of the ideas I love to work with. I love nature as you know and I love Agate. 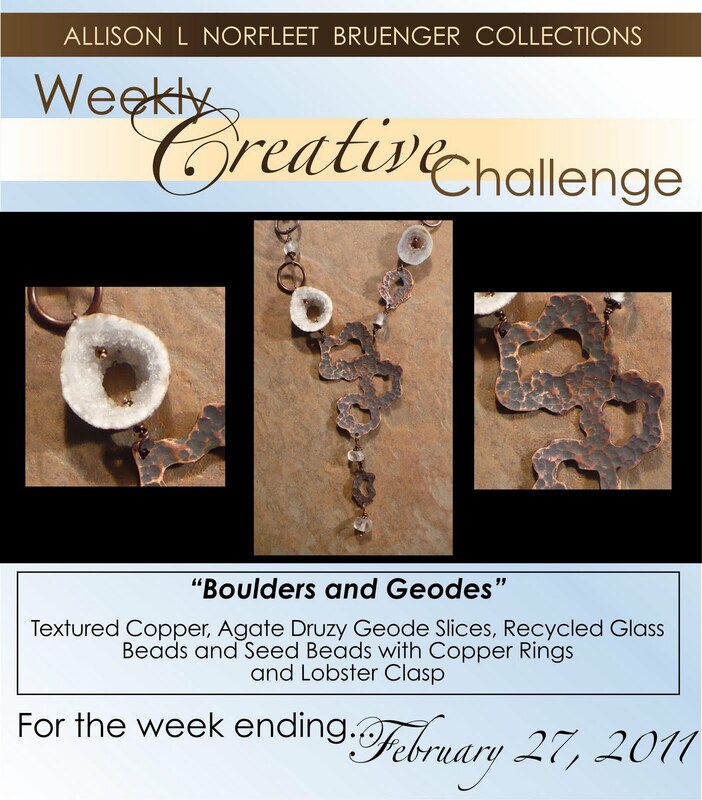 Geodes are beautiful on their own and with this nature inspired piece, I think they work well together. This piece already has been purchased but I wanted you all to check it out anyway. This is definitely a direction I like to work in. 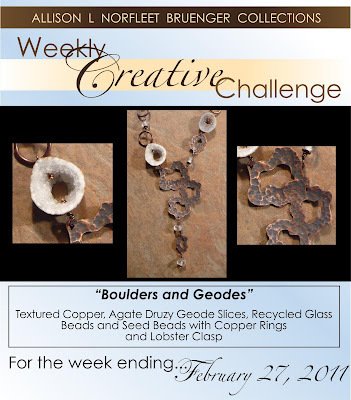 I hope you enjoy this week's entry "Boulders and Geodes".